There aren't many people who can claim the dreams they had in early childhood shaped the course of their entire life. But for one American teenager, Alyssa Carson, seeing images of spacefaring cartoon characters on television prompted a lifelong obsession. Aged three years-old, she told her father 'Daddy, I want to be an astronaut, and be one of the people that go to Mars'. Since then, she has made it her life's work to make her childhood dream a reality. In the year 2033 – when Mr Carson will be 32 – she plans to soar off to the red planet, where she will help a Martian colony thrive. 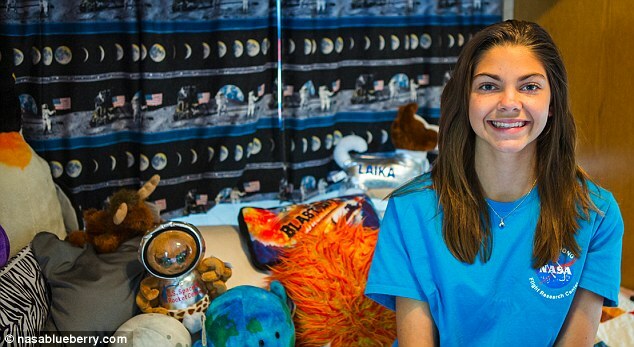 The 17-year-old girl, from Hammond, Louisiana, has been obsessed with space from the moment she watched the cartoon The Backyardigans, in which five animal friends go on imaginary adventures in their backyard, including a mission to Mars. This plotline became the birth of a lifelong quest to realise her dream. Ms Carson spreads her message to her hundreds of thousands of followers across her various social media accounts and blog. She also attends seminars and other public speaking events to address her peers and encourages other youngsters - particularly women - to get involved in science, technology, engineering and maths. Speaking to Teen Vogue, she said: 'I did the same thing as other kids, like switching my mind about careers, wanting to be a teacher or the president one day. 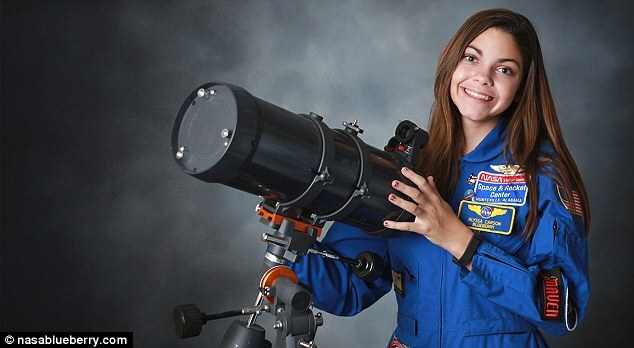 While Nasa doesn't officially accept applications to become an astronaut until a person is 18, the agency is purportedly working with Ms Carson to realise her ambitions. As part of its long term plans for the red planet, Nasa has previously spoken of sending US astronauts into orbit by 2033 and onto the planet's surface by 2039. The mission will include growing food, conducting science experiments and looking for signs of life. Over the years, Ms Carson has undertaken as much training as possible to prepare her for her eventual journey. 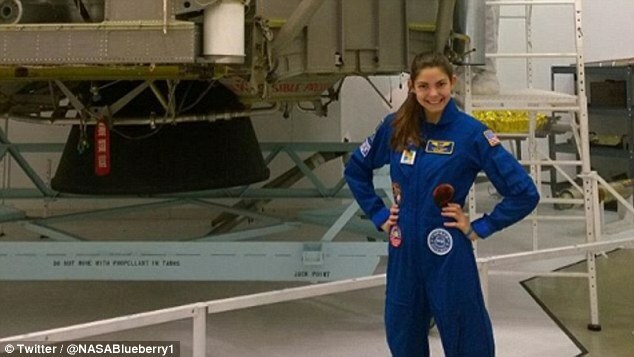 Her dad enrolled her in the United States Space Camp in 2008, which she has attended several times since. 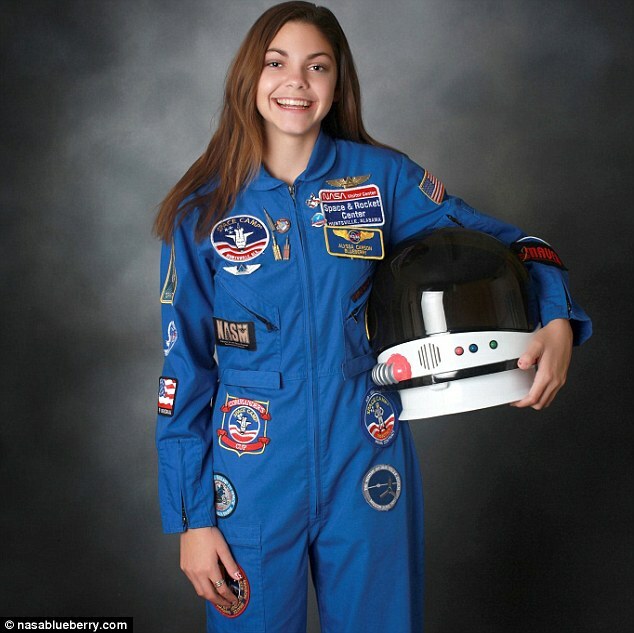 She also ventured to others in in Laval, Quebec, and Izmir, Turkey, eventually becoming the first person to visit all three Nasa Space Camps at the age of 12. 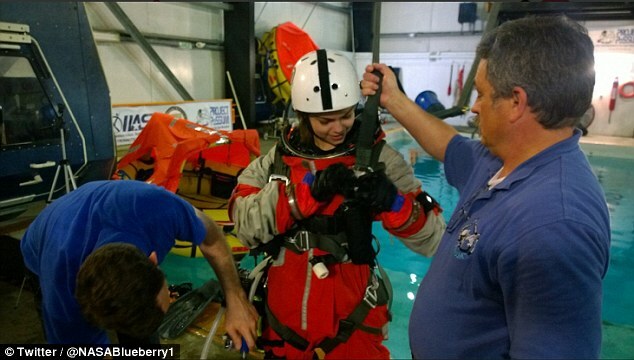 During her training, she has learned about microgravity and the effect on the body of losing oxygen. 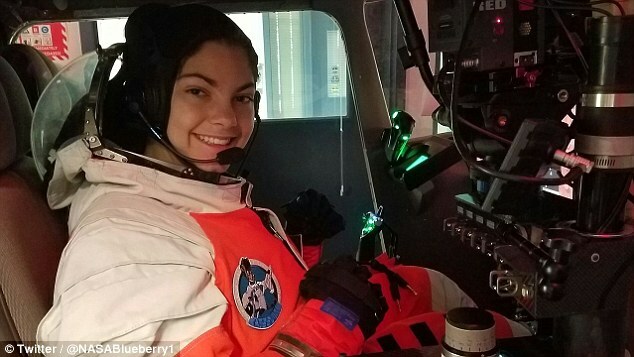 She has taken part it simulated missions, built her own rockets and robotics and even directed her fellow space cadets under her callsign 'Blueberry', which she uses as the handle for her various online accounts. 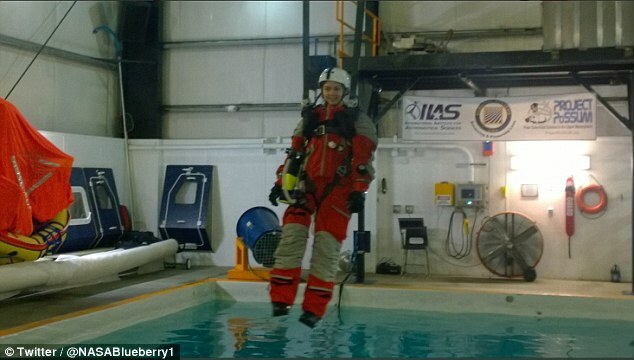 In April she also attended an underwater course, to prepare her for the disorienting effects of space. Most of her recent training has been conducted privately through Project Possum's Space Academy. This is an offshoot of Embry–Riddle Aeronautical University, a private university specialising in aviation and aerospace. Advanced students are given five days of academic instruction, including high altitude mission training in a hyperbaric altitude facility, as well as spacesuit training and their own Possum flight suit.